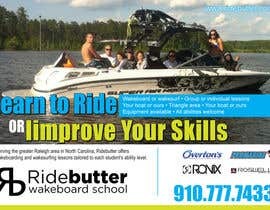 Our business offers wakeboard and wakesurf lessons in the Raleigh, NC area. Please use [login to view URL] for any content and an understanding of my business. 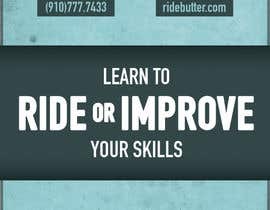 -grab attention with something like "learn to ride or improve your skills"
-include sponsors in alphabetical order all the same size, colors can be changed to the same. 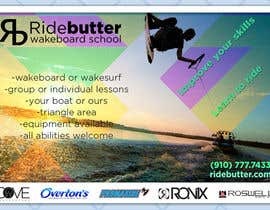 I have additional events that I will need flyers for, business cards, and my website could use a refresh winning this contest will place you at the top of the list for any future work. Hallo,give me please more explanation about your last request? 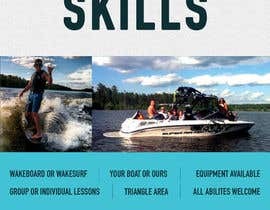 Hi, Please check #17 and give me a feedback. Thank You. Is there a certain size you are looking for? I was thinking b6, or postcard size I can hand out at events. Hi, You want single side or both side printing? Contest winnings increased! Winner will be picked Wednesday! Thank you for the entries so far. A more hipster/indie/alternative style is more our taste. Do you have these same file but in PNG? Files updated to include .png format.